Imports of handmade cigars continued their exceptionally strong year through October. Shipments for the month rose by 18.9 percent over October 2017 levels, and by 12 percent for the first 10 months of 2018. The strong month pushed total premium cigar imports for 2018 past 300 million units, making it the seventh consecutive year premium cigar imports have exceeded 300 million cigars—and there are still two more months of data left to come in. 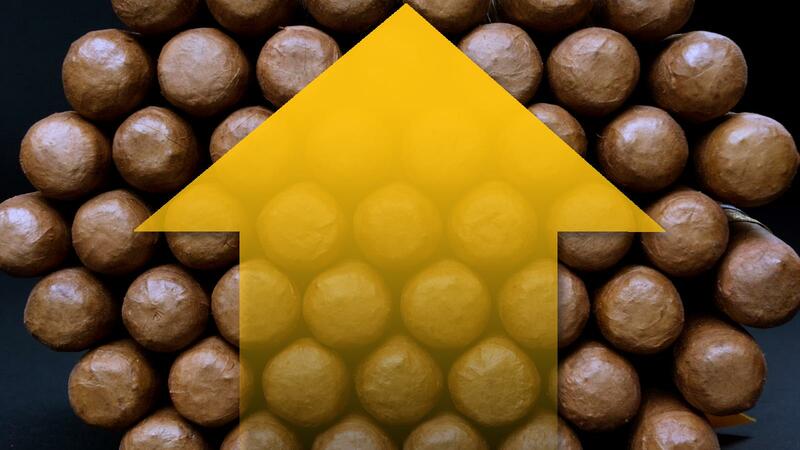 The growth was led by Nicaragua, which shipped 17.6 million handmade, premium cigars to the United States in October, up a shocking 37 percent from 2017 levels, according to data from the Cigar Association of America. Dominican exports were down slightly in October, to 12.1 million cigars, and Honduran shipments showed exceptionally strong growth (off a smaller base), rising 40.2 percent to 7.7 million cigars. Nicaragua remains the top exporter of handmade cigars, with 144.2 million cigars shipped for the first 10 months of 2018. The Dominican Republic ranks second with 98.5 million and Honduras ranks third with 57.1 million. No other country is a major provider of handmade cigars to the U.S., with the Bahamas, Costa Rica, Mexico, Panama and the Philippines each shipping fewer than 1 million cigars to the U.S. in 2018. For the first 10 months of the year, premium cigar exports were up 12 percent, to 301.1 million cigars. For the same period in 2017, 268.7 million cigars were shipped. There are two months of reporting left for 2018 numbers to be complete, and the numbers keep trending higher. For the first half of 2018, imports rose by 9.9 percent. For the first nine months, they climbed by 11.1 percent. If this most recent growth rate of 12 percent can be maintained total 2018 total shipments could reach 370 million cigars.